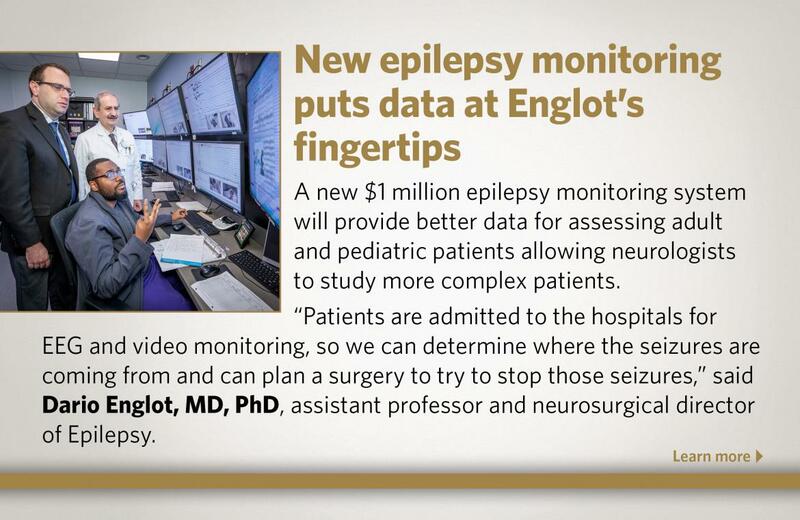 Welcome to Vanderbilt University Medical Center and the Department of Neurological Surgery. 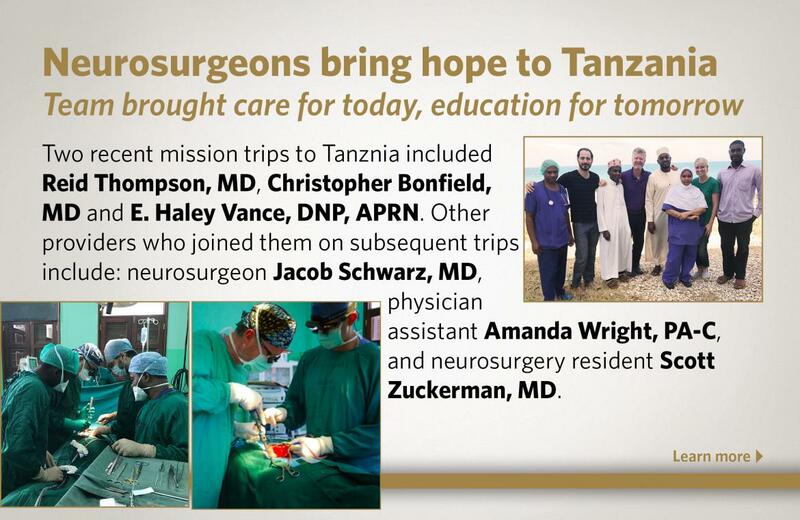 Vanderbilt and the Department of Neurological Surgery have a long tradition of providing internationally acclaimed patient care, life changing innovations and research and training for the best of tomorrow-s neurological leaders. 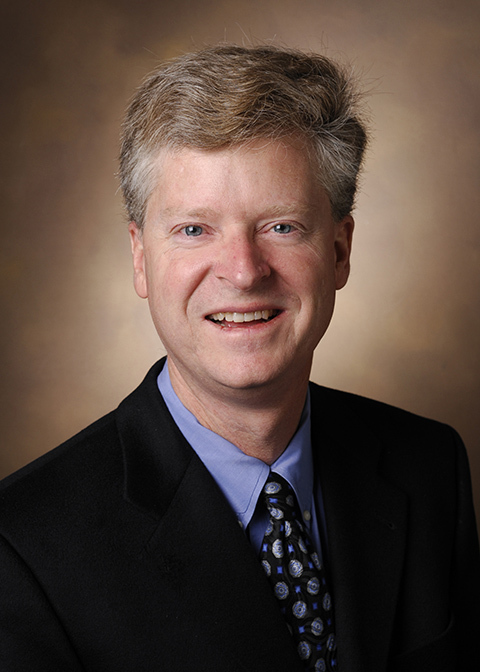 We provide excellent comprehensive care for pediatric and adult patients with disease or injury involving the brain, the neurovascular system, the spine, and the peripheral nervous system. 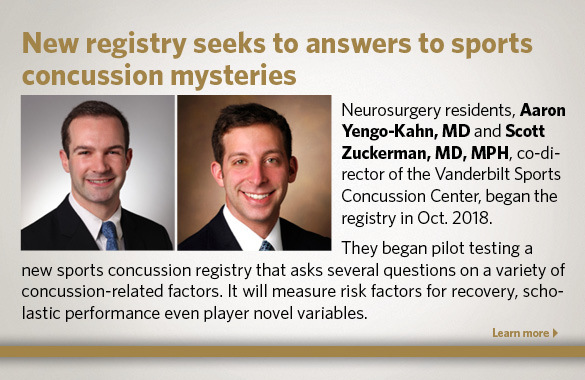 VUMC consistently ranks in the 100 Best Hospitals survey and annually our medical and surgical specialties rank as best or high performing while our pediatric neurosurgery program is ranked 15th in the nation according to US News and World Report. 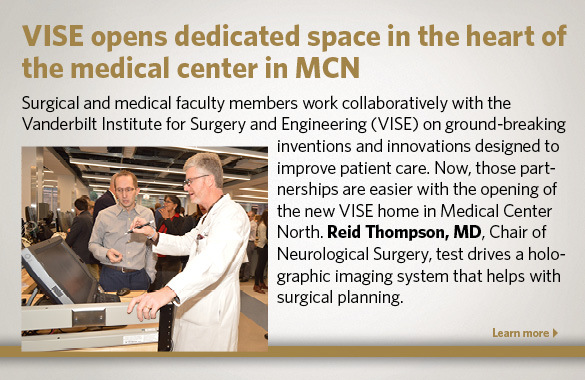 Discover what sets Vanderbilt apart, our collaborative disciplines, unique surgical services and outstanding patient outcomes.